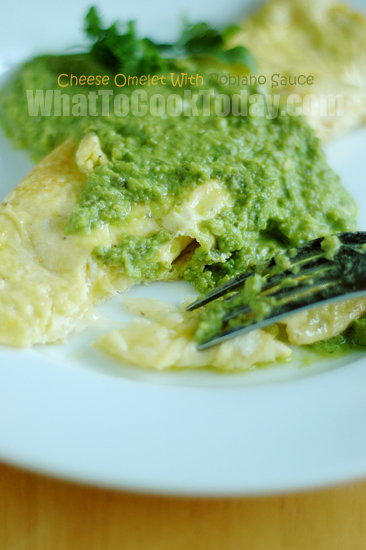 The French-style omelet is a popular dish in one of the getaway spots in Cuernavaca, near Mexico City. I can absolutely see why. The Poblano sauce is really creamy, slightly tangy and a little spicy. This was actually my first time cooking with Poblano peppers. Huge pepper, not as huge as bell peppers, but it’s pretty big compare to other peppers I know like Jalapeno and Serrano. Cooking Mexican dish this week really made me appreciate all the different type of peppers used. I love Bird’s eye chili so much that our fridge always have some 365 days/year. It is simply indispensable in Southeast Asian Kitchen. That little thing is pack with so much heat and I can’t be happier being tortured by that as well. 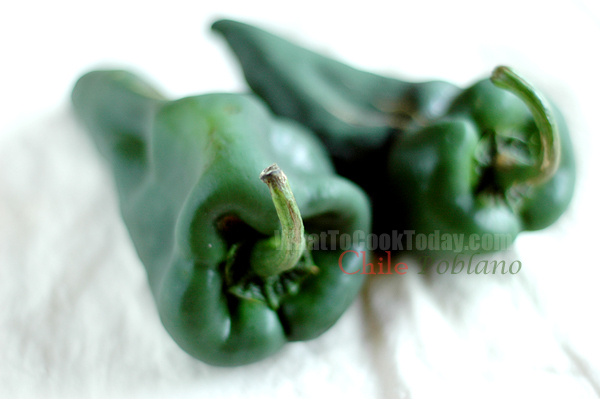 It’s different with peppers like Poblano, Jalapeno, etc. For me those peppers are much much more milder in terms of heat (exception with Habanero of course), but really flavorful when you use them in cooking. 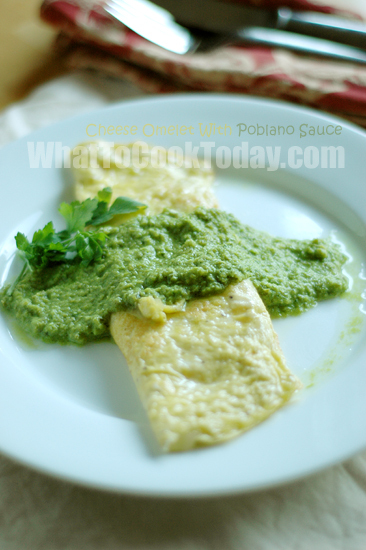 This cheese omelet is really easy to make and that sauce is really its good friend. Another egg recipe keeper for us from The Best of Mexico: The Beautiful Cookbook by Susanna Palazuelo.